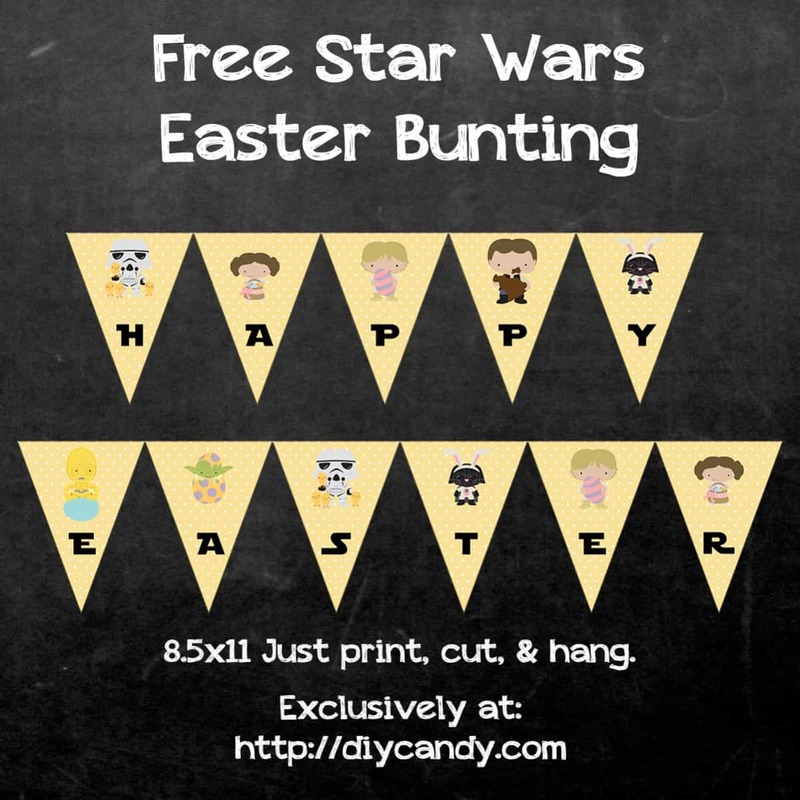 Get a free printable for a fun Star Wars Easter banner – come over to the dark side and hang this cute garland in your home for the holiday. 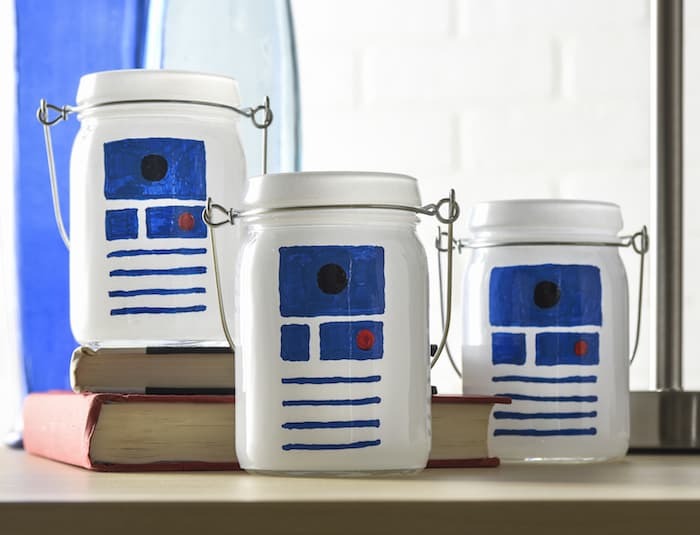 Being the fan of Star Wars that I am, I like to celebrate every single holiday with a little “Force” if possible. You might think that there’s not a good fit between Star Wars and Easter, but I beg to differ – and I’ll show you what I mean with this Star Wars Easter banner! 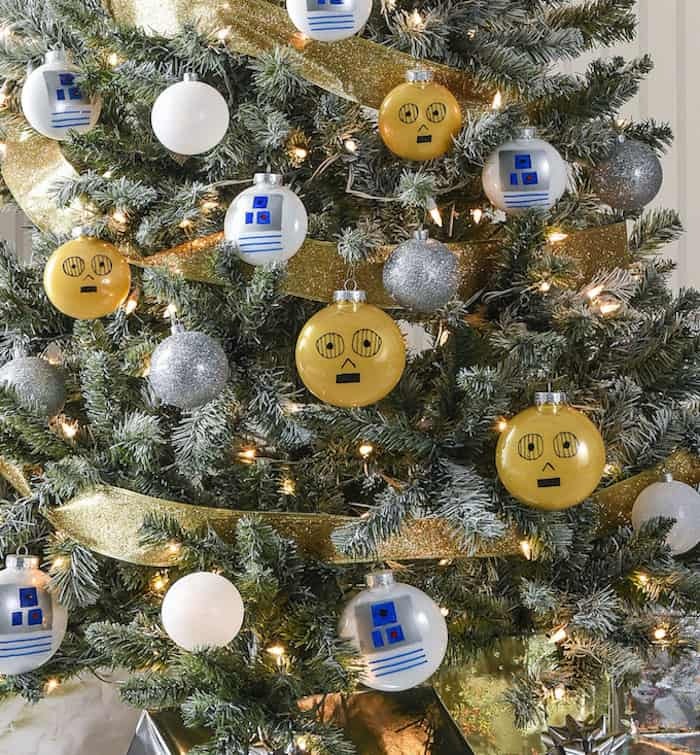 This banner gives your favorite galactic characters a little bit of holiday spirit. Leia has an Easter basket, Han is eating a chocolate bunny, and Darth is wearing a bunny costume. It’s pretty funny, actually! 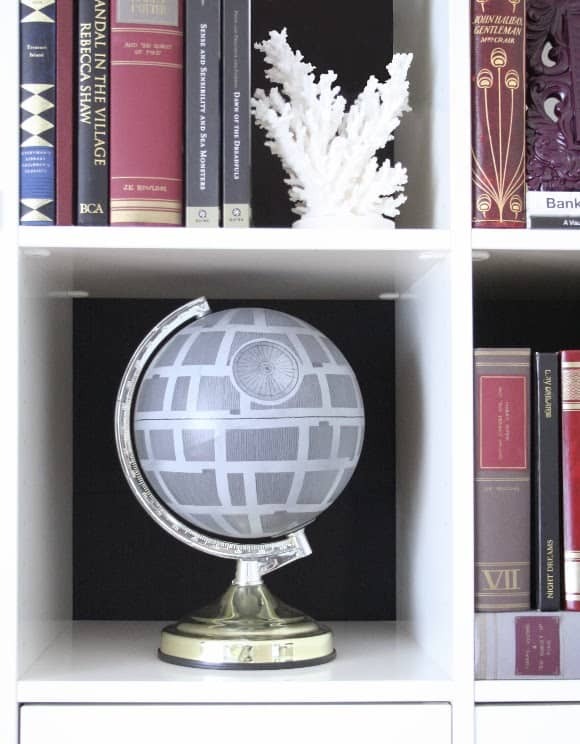 You’re going to love it, your kids will love it, and any trilogy fans that pay your home a visit while you have it displayed will love it as well. I know you want to download this banner for yourself, so we have the free printable below. All you need to do is click on the link and it will automatically download. Simply print it up on thicker printer paper (even cardstock) and hang with any thread or ribbon you like. Grab your download below – and Happy Easter!